Slow worm. 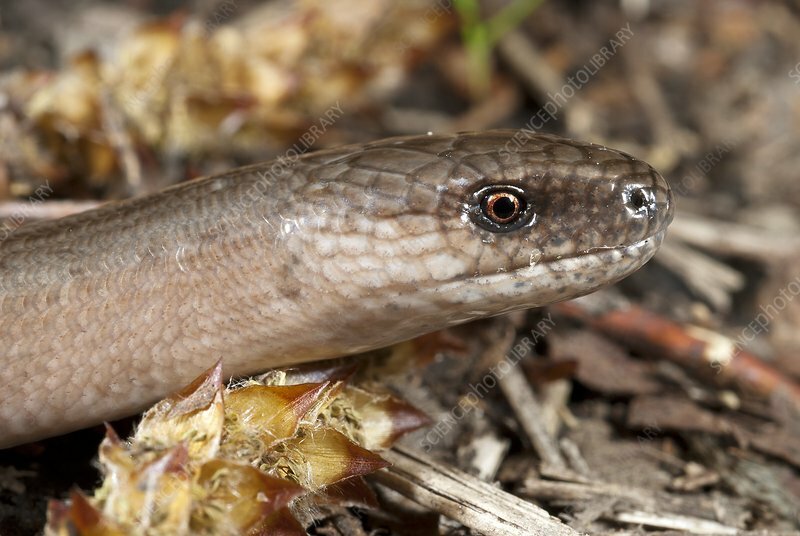 Close-up of the head of a slow worm (Anguis fragilis). This reptile, native to Eurasia, is a limbless lizard, not a snake. Unlike snakes, it has eyelids and can blink. It is a carnivore, feeding on slugs and worms in its usual grassy habitat. Like other lizards, it can shed its tail when threatened. Slow worms are long-lived and can reach a length of over 50 centimetres. Photographed in Poland.